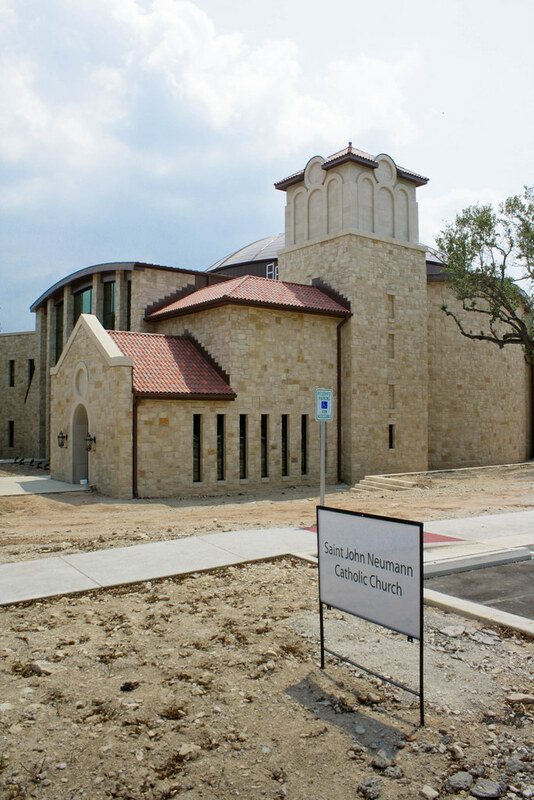 On Sunday 30 April 2011, I foolishly drove down to St John Neumann Catholic Church in Westlake for what was scheduled to be the dedication mass of their new church building (previously discussed in an earlier construction update) without first confirming the event. Construction schedules being what they are, I arrived to a completely deserted campus and an obviously incomplete building. But instead I was able to walk around the exterior as the construction fences present at my last visit have been removed. The building exterior appears to be substantially complete, with only landscape work remaining. This meant I was able to take a nice set of photos and take a closer look at the detailing and materials. What I found was a surprising amount of restraint and straight-forwardness. 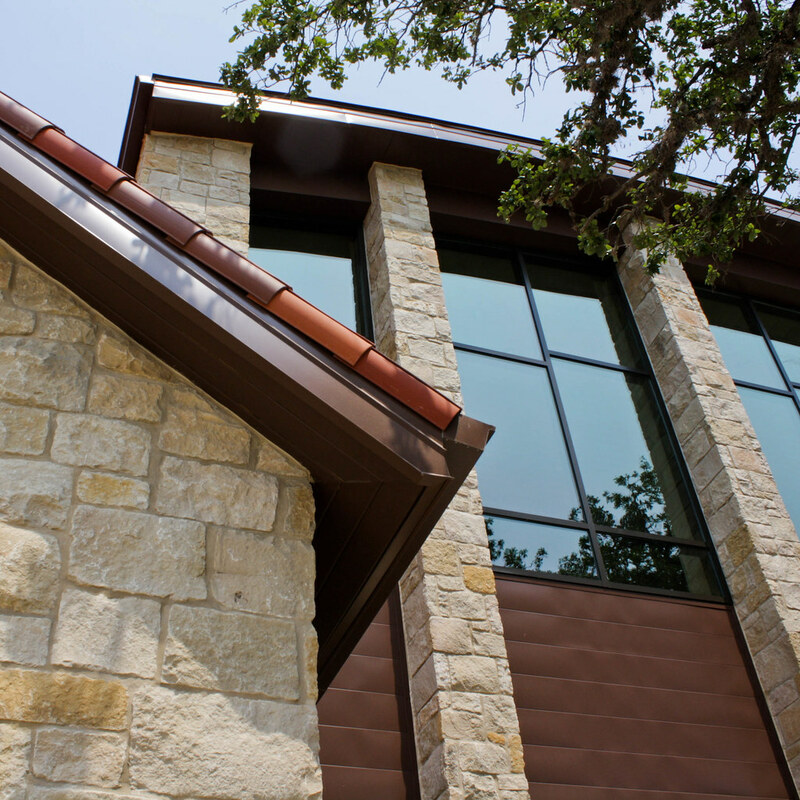 There is absolutely nothing remarkable about the detailing, but neither is there anything silly or aspirational, as found in the nearby residential and commercial construction. Its appearance is clean and well-constructed. The overall volumetric composition is something of an odd if well-meaning bricolage, but closer inspection reveals a strong functional bias to its arrangement. The central dome of the nave dominates the interior and exterior, form and experience; the ancillary functions are likewise clear inside and out. 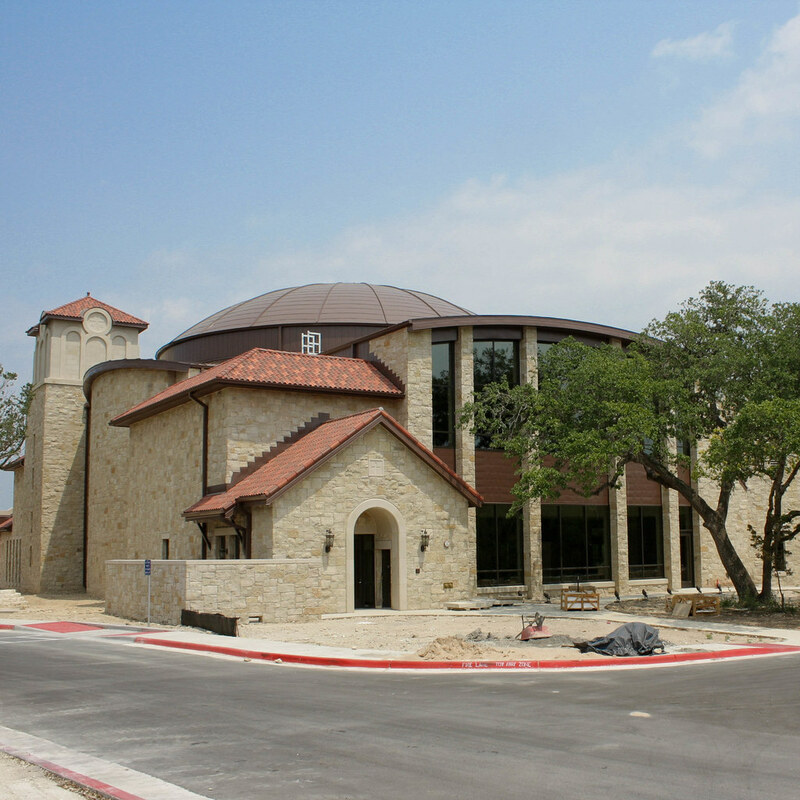 In this way the church admirably achieves a phenomenological thinness in contrast to its initial material impression without feeling too tectonically weak & vapid (as in something like Our Lady of Atonement, San Antonio). We know, of course, that it is constructionally weak (contemporary construction methods being what they are), but the restraint in the exterior detailing effectively negates the appearance of this fact rather than highlighting it through the application of vestigial frippery. I was only able to peek at the still incomplete interior and take limited photos through the (tinted) glass. The interior continues some of the restraint and, at least in its unfinished state, has a remarkable sense of openness in the volume. The danger with balconies in a nave is that they tend to unnecessarily break up a space, but in this case a combination of limiting the depth, completely opening the walls behind to the exterior, and continuously encircling the space appear to unify rather than divide. The raised platform for the altar commands the volume nicely. Overall, I am optimistic about the interior. Of course, this is an observation from outside and without furnishings and finishes, so we will have to wait for completion to see the full effect; and as I was unable to see the inside of the dome from the exterior, much is still to be seen. With the construction fences down it is now possible to circumnavigate the building. 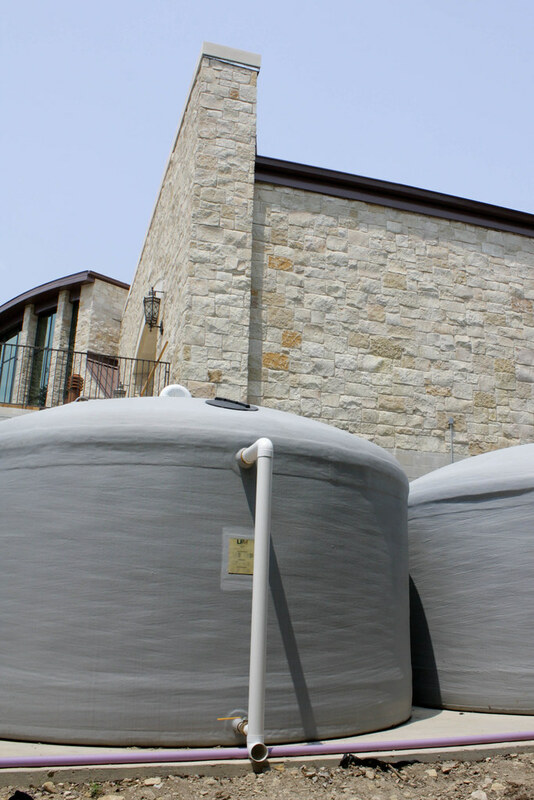 Around back and downhill from the church there is a rainwater collection system with what appear to be three 10k gallon capacity tanks, seen below. Neat. The new dedication date has not been set, but look for more photos when the church is completed.